With only 6 members in the 40-member council in Telangana legislative council, losing 4 members will be a major setback for Congress. 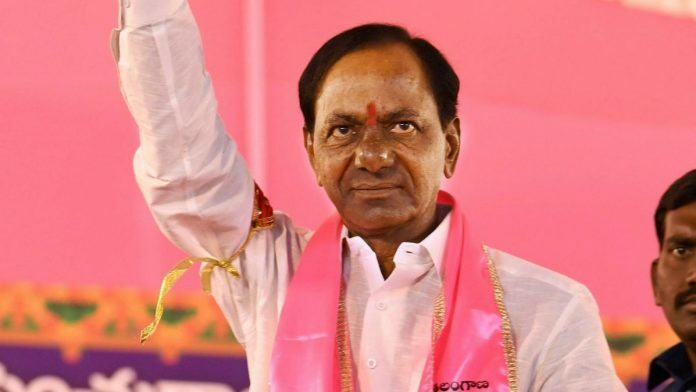 Hyderabad: In a setback to the Congress in Telangana, four party MLCs on Friday requested Legislative Council Chairman K Swamy Goud to merge their legislature party in the upper house with that of Chief Minister K Chandrasekhar Rao-led TRS. The four Congress MLCs — M S Prabhakar Rao, T Santosh Kumar, K Damodar Reddy and Akula Lalitha — met Goud and submitted a petition to him in this regard. Acting swiftly, Telangana Pradesh Congress Committee (TPCC) president N Uttam Kumar Reddy and Leader of Opposition in the Legislative Council Mohammed Ali Shabbir also met Goud and appealed to him to disqualify the four for their alleged anti-party activities. The Congress has a total of six members in the 40-member council. At least two-third members of a legislature party are required to split it without attracting the provisions of the anti-defection law. In the petition, the four MLCs said at a meeting of the Congress Legislature Party (CLP) on December 20, they decided to merge it into the Telangana Rashtra Samithi Legislature Party (TRSLP) in the state legislative council. They claimed that they had the required strength for the merger under para 4 of Tenth Schedule of the Constitution and urged the chairman to accept it with immediate effect. “Swamy Goud assured (us) that he will think about (the matter) after considering the rule position,” Prabhakar Rao told reporters. Uttam Kumar Reddy and Shabbir met Goud soon after. The TPCC president urged Goud that the letter submitted by the four MLCs be rejected. “As the party president, I wish to convey that there was no meeting of the CLP on December 20,” Uttam Kumar Reddy said. He said Prabhakar Rao had defected from the Congress to the TRS in 2016 and a petition for his disqualification was pending with the chairman for the last two years. Similarly, Damodar Reddy had also defected to the TRS and his disqualification petition was also pending. “The Indian National Congress party is a 130-year-old party and it is preposterous that some members, who have already defected to the TRS, are putting an application for merger of the CLP into the TRS party,” Uttam Kumar Reddy said. In a letter to Goud, the TPCC president stated that the chairman or speaker is not competent to merge a political party as per the Constitution of India, as held by several judgements of the Supreme Court. As per the Constitution of the Indian National Congress, state units have no power to merge with other parties, Uttam Kumar Reddy said. “A national party cannot be merged with a regional political party. Seeking (a) merger per se incurs disqualification. Rank and file of a political party throughout the nation have to accept the merger,” he said. Para 4 of the Tenth Schedule to the Constitution is not independent as it has to be read harmonious with other paras, he added. If the request of the four MLCs is accepted, the Congress would lose its opposition status in the council as one-tenth of the total strength of the House is required to enjoy the status. The Congress suffered a drubbing in the recent Telangana assembly polls. The party, which formed a “grand alliance” with the TDP, the CPI and the Telangana Jan Samithi, managed to win only 19 seats in the 119-member House.